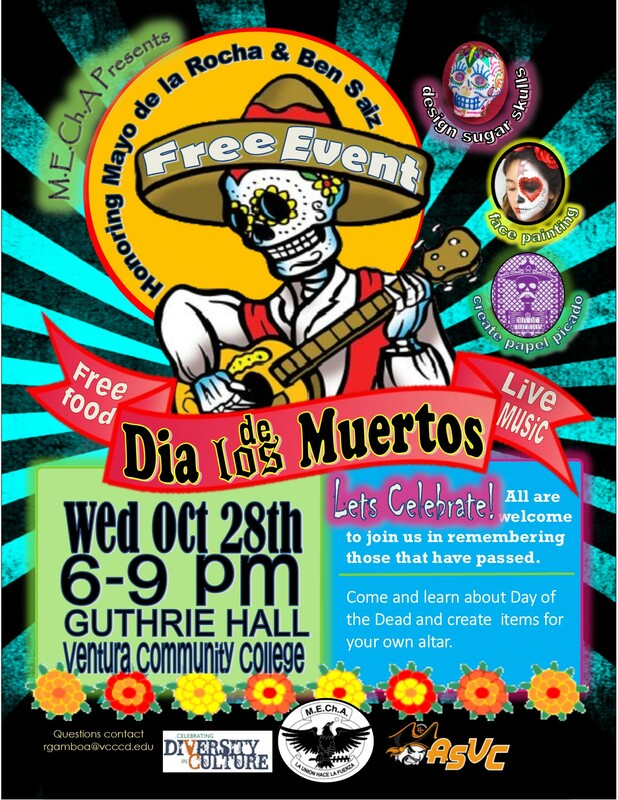 Dia de los Muertos will be celebrated Wednesday, October 28th 2015 in Ventura College’s Guthrie Hall from 6-9 pm. M.E.Ch.A welcomes everyone to join this free event which offers many hands on activities and historical content of this Native/Mexican tradition plus free food, live music, and guest speakers. All are invited to come and honor the lives of those who have passed. Ventura College is located at 4667 Telegraph Road, Ventura, CA. Parking on-campus is $2. 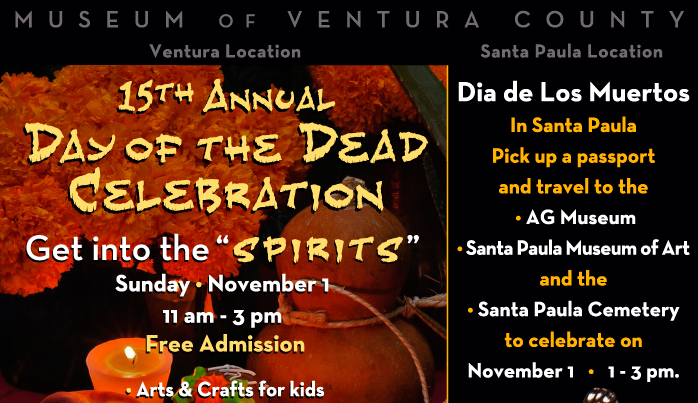 will also celebrate Dia de los Muertos on November 1 • 1 – 3 pm. Ag Museum will celebrate the fall return of the Monarch butterfly, a symbol of the returning spirits with Butterfly crafts and Live demonstrations. Last year’s Book of Life told a story about this traditional Native/Mexican event that occurs every year in early November. It includes beautiful moments like this one which fits into a theme I am working on about empathy. (Read yesterday’s blog post “On Opening Your Heart and Mind” here; more to come).